The Cantamus Girls Choir and Training Choir consists of girls between the ages of 9 and 19 who come together for the sheer joy of singing and to be part of the Cantamus family. 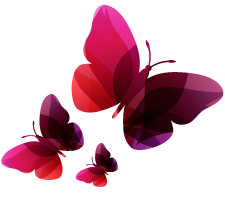 The emblem of the choir is the butterfly which evokes the transformation of girls from children to strong and beautiful young women who soar in confidence and talent. Poem by Veronica Barker a past member of the choir. Based in Mansfield, Nottinghamshire, The Choirs are directed and trained by Ann Irons and a talented team of teachers; Elaine Guy (Assistant Director), Louise Collett and Freya Hales. The Senior Choir is internationally renowned winning numerous prizes in international festivals around the world and has been featured in radio and TV broadcasts. Commercial CD’s by EMI and Warner’s have been distributed worldwide along with private recordings. In 2013 Cantamus celebrated 45 years as one of the foremost choirs in the UK. From its humble beginnings as a group of 18 girls who were the private pupils of founder Pamela Cook, Cantamus now has over 400 past members, many of whom pursue careers in music. Cantamus is internationally renowned; 29 first prizes in international choral festivals and 8 Grand Prix have been won, including BBC Choir of the Year, Choir of the World(Llangollen Eisteddfod), World Choir Olympics (Bremen 2004 and Xiamen 2006). Thirty two overseas tours have been undertaken, including Malaysia, Japan, China, Israel, USA, Canada, and most recently to Riva del Garda in Italy. Cantamus has been featured in numerous radio and TV broadcasts. Engagements with professional orchestras include the BBC Promenade concerts in both Cardiff and London, the Royal Philharmonic Orchestra, the Halle Orchestra, the Academy of Ancient Music and the City of Birmingham Symphony Orchestra. These performances have been in the Royal Albert Hall, the Barbican and Royal Festival Hall in London, the Bridgewater Hall, Manchester, Harrogate International Centre and the Royal Concert Hall, Nottingham.